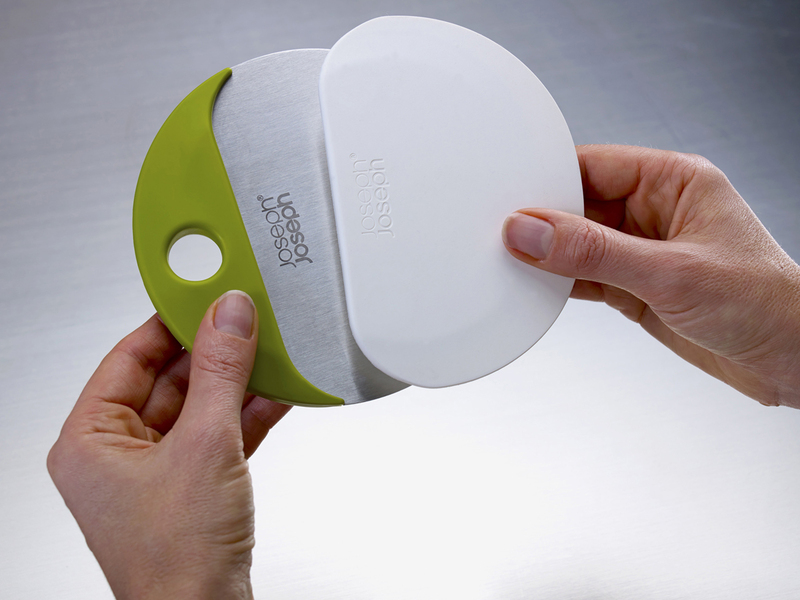 Comprising two handy baking utensils in one compact design, this clever tool simplifies the task of dough preparation. Firstly a silicone bowl scraper allows you to get every last bit of mixture from the inside of the bowl. Then a stainless-steel dough cutter makes short work of slicing through your dough, with measurements etched on the blade edge to help you divide it up into evenly-sized pieces. When you’re finished it also makes the perfect tool for cleaning up your work surface too. Both tools attach neatly together magnetically for compact storage.